The production plan is of vital importance for layout of process technology and combination of different recirculating aquaculture systems (RAS). 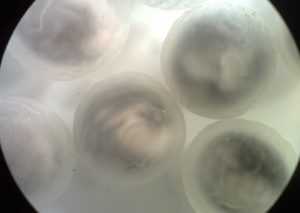 REX-M differentiates production of eggs (unripe-caviar, ripe-ovulation & fertilized-incubation), fish seed (Larvae, fry, fingerlings & on-grown fish) and food fish. 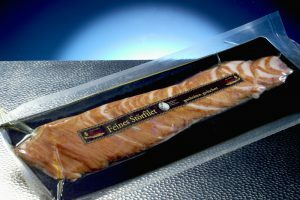 Salmonids, sturgeon, perch-like fish, carp, catfishes, eels and decapods are excellently suitable for the production in RAS. Farm-gate price regularly correlates with the degree of domestication, difficulty and automation. Atlantic salmon (Salmo salar, 2015: 2300 kt) dominates aquaculture in cold waters. 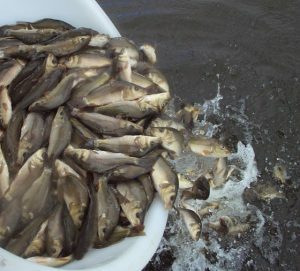 Smolts are produced in land-based aquaculture systems. On-growing mainly is done in net pens. 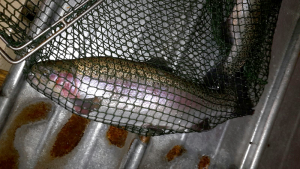 Production of rainbow trout (Oncorhynchus mykiss, 2015: 900 kt) and coho salmon (Oncorhynchus kisutch, 2015: 150 kt) is also of global interest. They are euryhalin and fishing, grading and counting is done by machine. All the year-round hatcheries provide fertilized eggs. Farming charr (Salvelinus spp.) 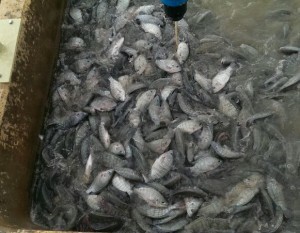 and whitefish (Coregonus spp.) is more ambitious. 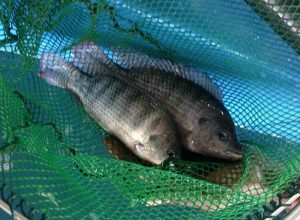 Among perch-like fish, the biggest order of vertebrates, Tilapia (2015: 5350 kt) is the dominate genus. Following carp (2015: 26050 kt) the mouth breeder is number 2 in aquaculture. Monosex populations (♂) of Nile tilapia (Oreochromis niloticus, 2014: 3670 kt) fit aquaculture of cichlids the best. 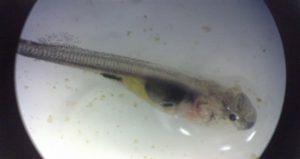 Farming yellowtail (Seriola spp. ), Barramundi (Lates calcarifer, 2015: 100 kt), titled Asian seabass too, groupers (Epinephelus spp., 2015: 50 kt), cobia (Rachycentron canadum, 2015: 50 kt), snappers (Lutjanus spp.) 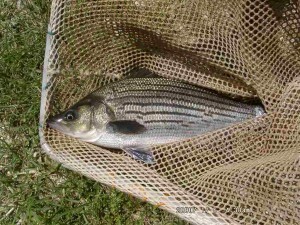 and HSB (Hybrid Striped Bass, 2014: 6 kt) is of global interest. Chinese produce Mandarin fish (Siniperca chuatsi, 2014: 294 kt), Asians snakeheads (Channa spp.). Gilt-head sea bream (Sparus aurata, 2014: 158 kt), European seabass (Dicentrarchus labrax, 2014: 156 kt) and meagre (Argyrosomus regius, 2014: 12 kt) are the dominant species in Mediterranen mariculture. Europeans work on the domestication of pikeperch (Sander lucioperca, 2014: 0,89 kt). European perch (Perca fluviatilis) is produced in the Alpine region, yellow perch (Perca flavescens) in the area of the Great Lakes. Australia offers murray cod (Maccullochella peelii), jade perch (Scortum barcoo) and silver perch (Bidyanus bidyanus). Siberian sturgeon (Acipenser baerii) is the dominant species on a global scale. 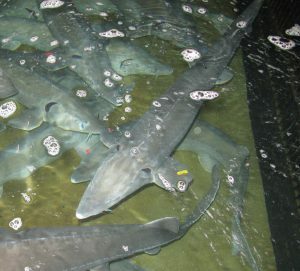 Sturgeon are mainly produced in the northern hemisphere. CITES (Convention on International Trade in Endangered Species of Wild Fauna and Flora) regulations complicate the trade of sturgeon and caviar. The sterlet (Acipenser ruthenus) matures most rapidly. 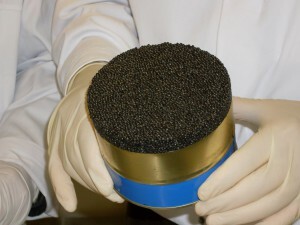 An albino variant allows mass production of golden caviar. 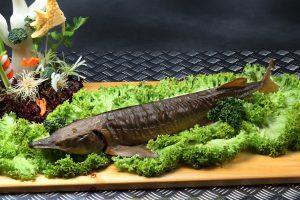 Russian sturgeon (Acipenser gueldenstaedtii) titled diamond sturgeon too provides ossetra caviar. 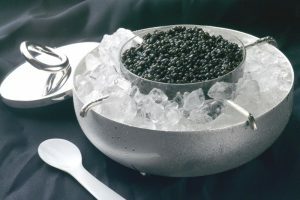 Beluga (Huso huso) breeds largest and most expensive eggs, the beluga caviar. However beluga mature explicitly after. Beside common sturgeon Chinese culture Amur sturgeon (Acipenser schrenckii), kaluga (Huso dauricus) and hybrid sturgeon (H. dauricus x A. schrenckii). 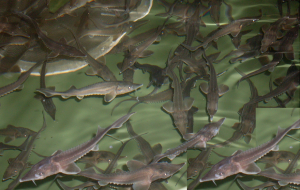 North America and Italy make use of white sturgeon (Acipenser transmontanus). BeSter (H. huso x A. ruthenus) mainly is produced in Russian-speaking area. A promising candidate is the short nose sturgeon (Acipenser brevirostrum). 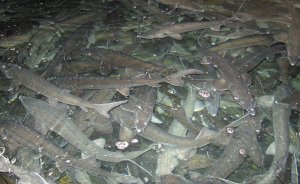 Shark catfishes (Pangasius spp., 2015: 2000 kt) are number 4 in aquaculture of finfish. 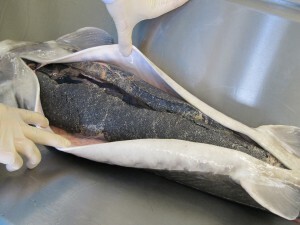 Iridescent shark (Pangasianodon hypophthalmus) and basa fish (Pangasius bocourti) are well-known representatives. 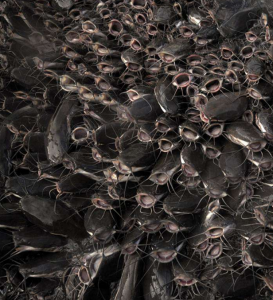 African catfish (Clarias gariepinus, 2014: 237 kt) is able to breathe air and to tolerate incredibly high stocking densities and water parameters. 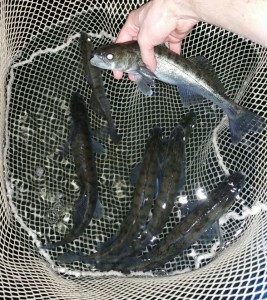 American catfish in industrial-scaled aquaculture are channel catfish (Ictalurus punctatus, 2014: 390 kt) and blue catfish (Ictalurus furcatus). 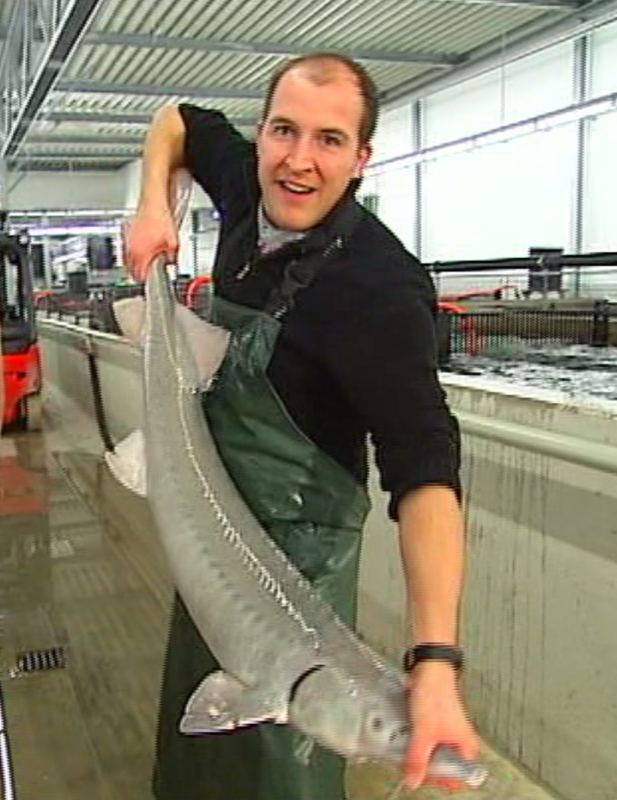 Wels catfish (Silurus glanis) is farmed rearly by a couple of experts yet. The biodiversity of Amazonia proffers fantastic candidates. So family Surubi with its representative Pintado (Pseudoplatystoma corruscans), regional named Moleque, Bagre rayado or Pintadillo, rates as exquisite gourmet fish. 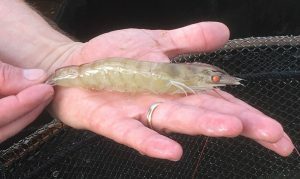 White shrimp (Litopenaeus vannamei, 2014: 3668 kt) are the dominate decapods in tropical aquaculture. Production units are stocked with specific pathogen free post larvae. In many cases biofloc technology is applied. 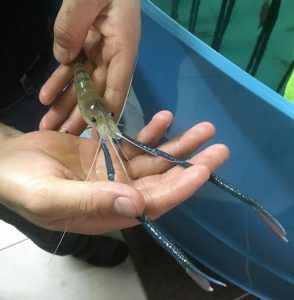 Moreover giant tiger prawn (Penaeus monodon, 2014: 634 kt) and Kuruma shrimp (Penaeus japonicus, 2014: 49 kt) will be applied for production of gambas in brackish water or seawater. 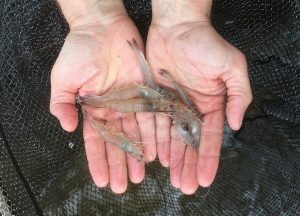 On the other hand giant river prawn (Macrobrachium rosenbergii, 2014: 217 kt) is suitable for aquaculture in fresh water. Red swamp crawfish (Procambarus clarkii, 2014: 723 kt) and red claw crayfish (Cherax quadricarinatus, 2014: 0,13 kt) are produced in considerably amounts. 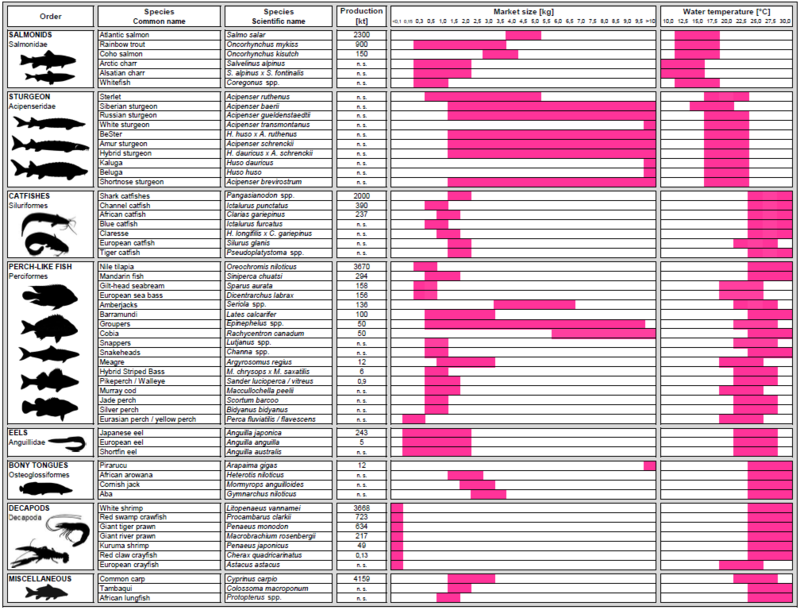 So far just a few are engaged in culturing European crayfish (Astacus astacus).